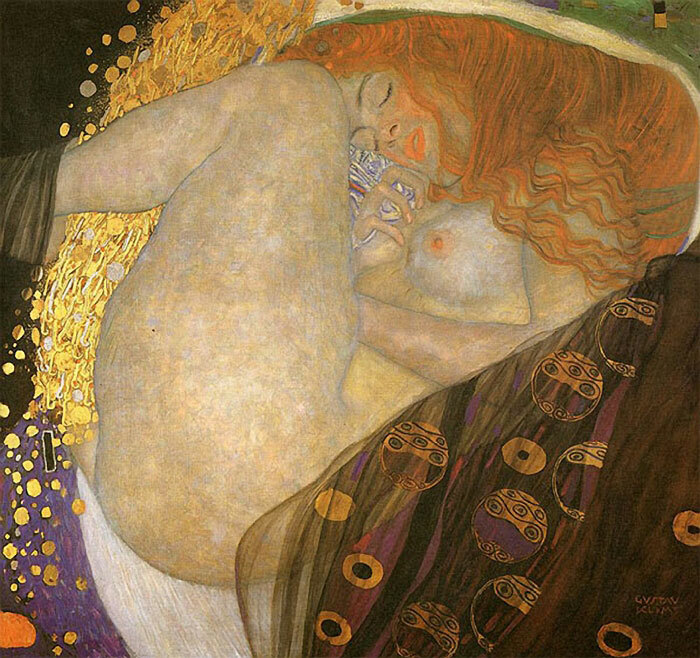 Spectacular recreations of some of Gustav Klimt's paintings which were taken for the 23rd Life Ball in Vienna earlier this year. 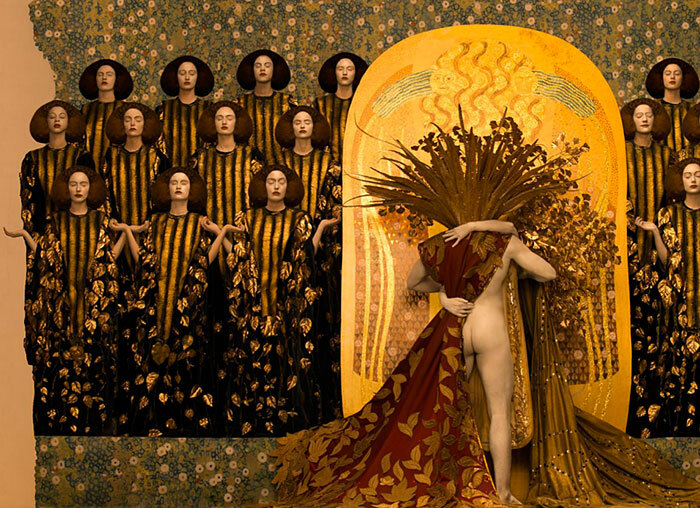 The Austrian symbolist painter's "golden phase" which include The Beethoven Frieze (1902), Danae (1907), and Death and Life (1908) were re-enacted by models wearing costumes and photographed by Vienna-based Inge Prader. 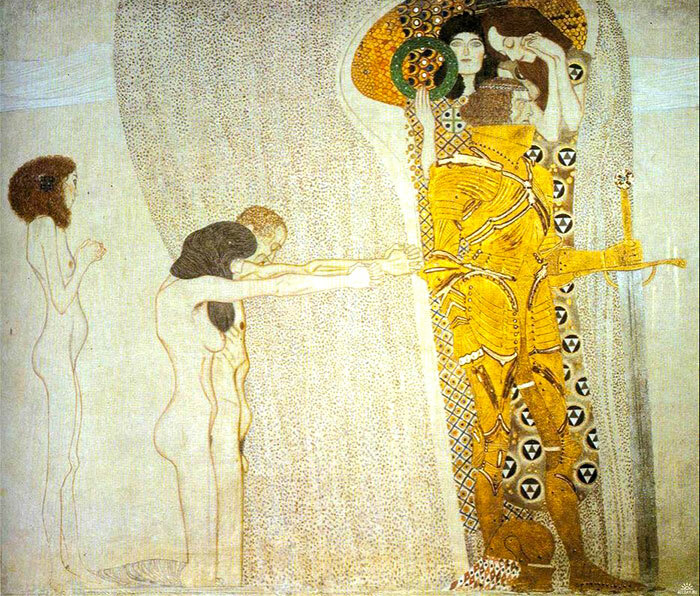 Klimt, whose primary subject was the female body marked by frank eroticism, was also one of the most prominent members of the Vienna Secession movement. 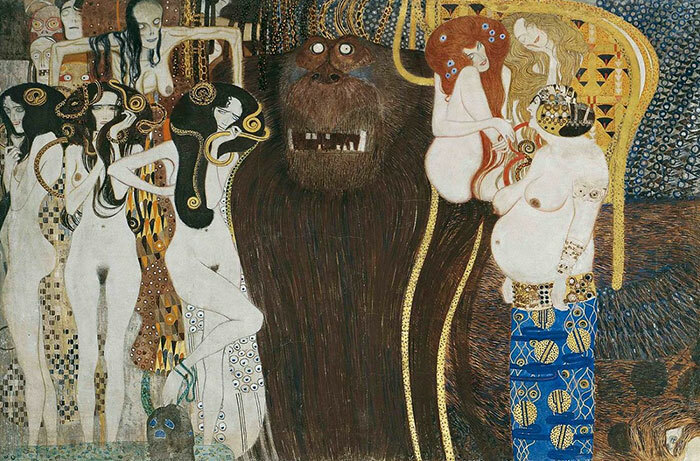 This movement became the inspiration for the Life Ball "to highlight the strong-willed and creative types of that time who revolutionized society with their purposefulness and perpetually new joy of life." The Life Ball is the biggest charity event in Europe supporting people with HIV or AIDS and is organized by the nonprofit organization AIDS LIFE, which was founded in 1992 by Gery Keszler and Torgom Petrosian. 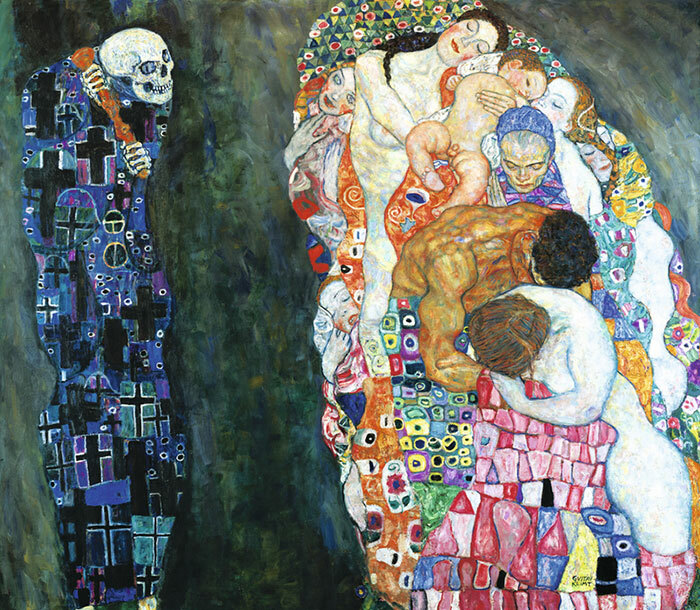 Spectacular recreations of some of Gustav Klimt's paintings which were taken for the 23rd Life Ball in Vienna.